Strasbourg, March 12 (TASR-correspondent) – I wish that Slovakia liked Europe more, European Commission (EC) President Jean-Claude Juncker said in a speech on Tuesday on the occasion of the visit paid by Slovak Prime Minister Peter Pellegrini (Smer-SD) to the European Parliament, adding that according to him, it was the Central Europeans who „dreamed“ of a peaceful Europe, and that’s why it’s the task of the European Union to work on it, TASR learnt on the same day. „I wish that Slovaks didn’t think that the rest of Europe doesn’t like Slovakia. 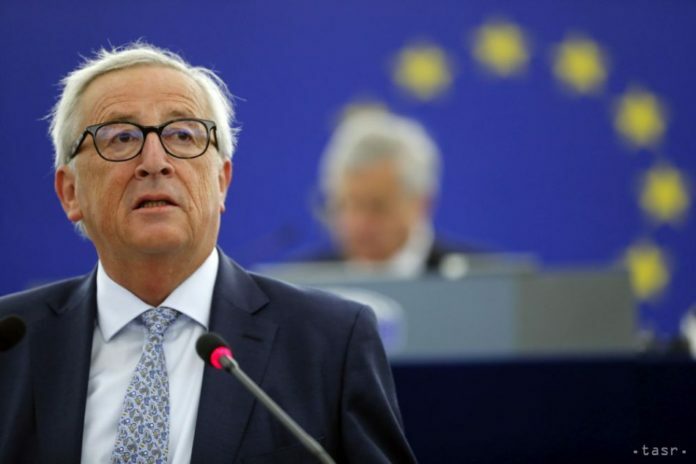 I wish that Slovakia liked Europe more,“ said Juncker. Juncker views Slovakia’s current presidency of the Visegrad Four (V4) countries (the Czech Republic, Hungary, Poland and Slovakia) as an opportunity to bring Europeans in East and West together. „Use your V4 presidency to help solve this,“ he said appealing to the Slovak premier. Juncker also thanked Slovakia for support on some European issues. „I am especially thinking of Slovakia’s efforts when it was necessary to amend the Posting of Workers Directive,“ he said.